Collaboration is one of the biggest trends in the business world today. In the past, if you wanted to collaborate with your team, all you needed to do was ask everyone to join you in a meeting room for a quick brainstorming session or conference. That simple solution, although not always efficient, kept people connected on a day-to-day basis. However, now that businesses are growing increasingly agile and dispersed, we need a lot more from our collaboration strategies. When the average meeting isn't enough to engage your remote and global workers, productivity tools like G-Suite come into play, designed to make sure that you can truly make the most out of your employee productivity. While most companies know that they need better collaboration solutions for their teams, what they don't understand is how specific tools will empower their workforce. We all assume that our employees need to be constantly connected and available to collaborate at any given time. However, a study published in August 2018 may have found an alternative option. According to the PNAS report, "intermittent collaboration" - when your staff members have the freedom to collaborate as and when they choose, is actually more effective than the standard always-on business environment. Fortunately, G-Suite's intelligent suite of productivity apps isn't just there to support constant collaboration. With G-Suite, you can also give your employees the freedom to interact "intermittently" with their co-workers too. Let's take a look at how some of the most popular G-Suite apps support intermittent interaction. Companies are increasingly moving away from email as a tool for collaboration - assuming that instant chat and other real-time options are more effective. However, Gmail is still the most popular email tool on the market, and one of the main ways your employees interact. 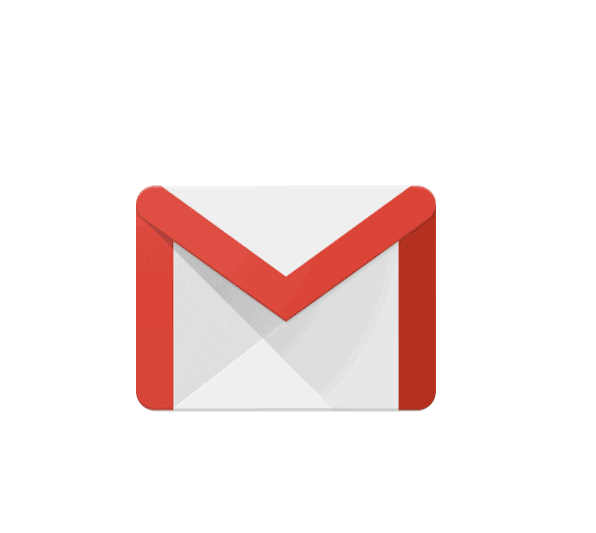 With Gmail, you can easily send files directly to your co-workers when you want to work together on something. The data you send via Google Drive and Sheets will automatically update when your coworker edits them, so you don't have to worry about keeping track of the latest version of a document in your email inbox. One of the biggest worries that today's employees face is the fear that they're going to miss out on something important. By scheduling team-wide meetings on Google Calendar, you can make sure that even your remote employees don't miss out on the most crucial announcements your company makes. One particularly significant feature of Google Calendar is the fact that you can create many different calendars for different subsets of your team. As the study from PNAS found, different groups prefer to collaborate at different frequencies. If you know that one set of employees like to instant-message each other every day, then there's a good chance you won't need to set up as many meetings with that group. You can also use Google calendar to instantly launch Google Hangouts sessions with your remote or global employees. One of the things that make G-Suite so impressive as a tool for intermittent interaction is that there are no rules set-in-stone about how you have to use it. You can build your collaboration suite however you choose, using a range of add-ons and complementary tools that integrate seamlessly with the G-Suite experience. For instance, you can add document approval systems, sales tracking services and more. If, for instance, your millennial team interacts better when they can see your content on social media, then you can infuse G-Suite with social platforms like YouTube and Facebook, giving your people access to the tools they enjoy most. As mentioned above, when your team members are working together on Google Drive, or with Google Sheets and documents, they don't have to worry as much about being online at the same time as their colleagues. Because it's based on the cloud, all aspects of Google Drive, Google Sheets, and the other workflow tools available with G-Suite will be available to your employees at any time. What's more, when people are accessing and using files in your Google portfolio, they'll always have access to the latest version of that work. Google automatically updates and syncs your content when someone makes changes to your files, so that your employees can avoid making changes to outdated content. The latest versions of your files are even available on the Google G-Suite mobile apps. If you want to make the moments of collaboration between members of your team even more immersive then you can easily upgrade your G-Suite experience with additional peripherals. The Google G-Suite Jamboard product is a 4K ultra-HD whiteboard that allows you to collaborate with people around the world in real-time, using a virtually-shared whiteboard environment. You can make notes on your whiteboard, share documents, and edit projects, all while automatically syncing updates to the cloud. The Jamboard is an incredibly-easy-to-use accessory for intermittent interaction. When your teams aren't collaborating with remote or globally-disrupted workers, then you can simply place your Jamboard in a difference conference room. However, when your teams need it, the Jamboard can offer an intelligent and easy-to-use method of keeping employees connected, wherever they are. Users can even join "Jam" sessions from their smartphone apps. The key to truly supporting intermittent interactions with G-Suite is not just understanding which tools are available for you to use, but also knowing when to give your team members a break from the tech. Though it's essential for your company to give your employees access to the services that will empower and enhance their everyday teamwork, don't go over the top. Today's employees want to feel as though they have access to the right technology when they need it, but they don't want to be pressured into being always connected. Allowing your group to disconnect outside of work time is essential. This could mean that you configure working hours in Google Calendar to let everyone know when their coworkers are available. Alternatively, it might mean that you stop sending business-related emails after a certain time each day and set Gmail up to continue correspondence when the next workday begins. How do you give your teams the freedom of intermittent interaction?